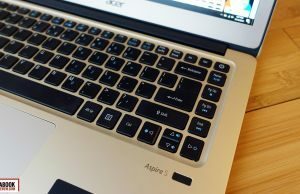 Summary: The Acer Swift 3 is the entry level unit in the Swift family and at the same time a surprisingly good device for how much it costs. It gets the looks, the build quality, the typing experience, the performance and long battery life, for a fraction of what many other ultraportables are selling for, as it starts at $499 in the US, with mid-level configurations selling for $649. 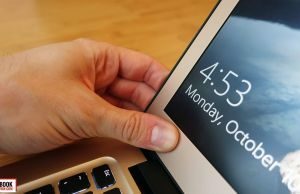 And it only has one major flaw: its 14-inch screen is dim and won't cut it if you plan to use the device outdoors or in other bright lit environments. Keep reading to find out more. 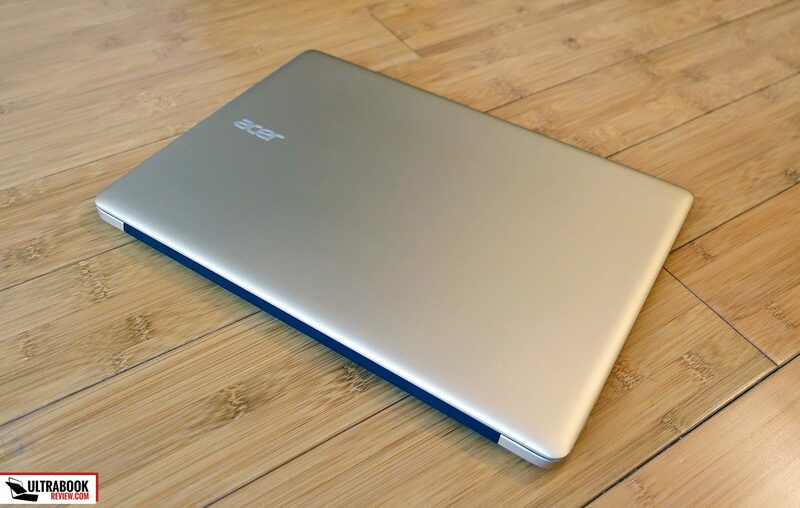 There’s a big market for ultraportables with an affordable price tag, sleek looks, fast hardware and a decent screen, and the Acer Swift 3 (also known as the Aspire S14 Spirit in some regions) is one of the better devices that checks all these boxes. We’ve spent time with it and we’re going to share our impressions with you in this review. 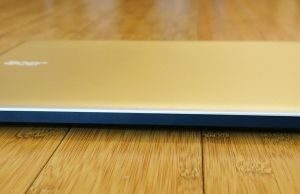 In few words, the Swift 3 is a portable computer that starts at $499 in the US and for that kind of money you’re getting a well built device with a metallic case and a slim profile, a 14-inch FHD matte screen with an IPS panel, a backlit keyboard, Core U hardware with SSD storage and a 48 Wh battery. All these for $499 for the base Core i3 configuration, or around $650 for a Core i5 with more RAM and storage space. A few corners were caught in order to make this a real product, as you’ll see in the article, but at the same time there’s nothing utterly wrong with it, so those of you on a budget should definitely have it on your list. 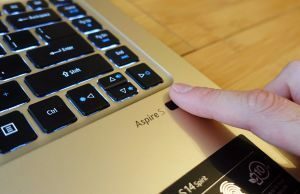 Keep reading to find out all about the Aspire Swift 3, where it shines and what could have been done differently. Update 1: Our test unit is built on Intel Skylake Core U processors, but there are also Kaby Lake variants available as of early 2017. There are minor differences between the Skylake and Kaby Lake platforms, so pretty much everything mentioned in this review also applies to the newer configuration as well. Update 2: As of mid 2017 there’s an updated version of the Swift 3, model name SF314-52, with quad-core Intel processors (Core i5-8250U) and dedicated Nvidia MX150 graphics. Check out our full review available over here for more details. 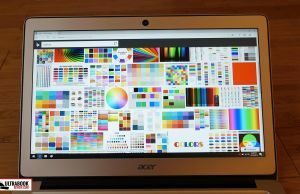 Update 3: As of 2018 Acer offers a few other updates, all of them more compact, better built and with higher-quality screens. You can find all about the SF314-55 and 56 updates from our detailed review. As of mid 2017 there’s an updated version of the Swift 3, model name SF314-52, with quad-core Intel processors (Core i5-8250U) and dedicated Nvidia MX150 graphics. Check out our full review available over here for more details. 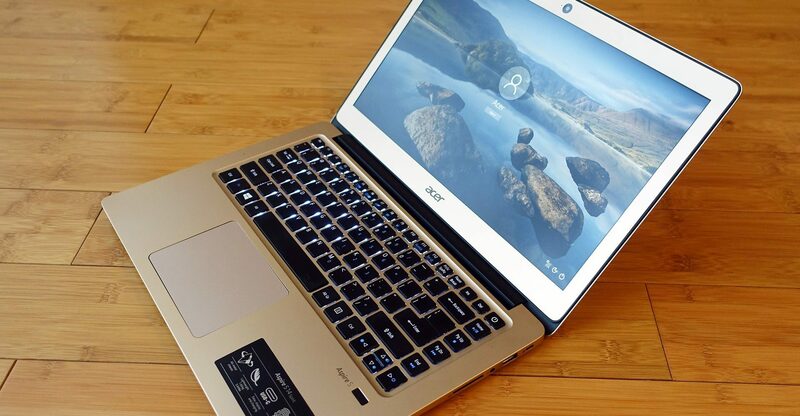 As of 2018 Acer offers a few other updates, all of them more compact, better built and with higher-quality screens. You can find all about the SF314-55 and 56 updates from our detailed review. 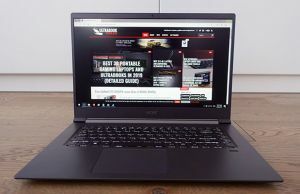 I have to admit I was surprised by how well this laptop is built, knowing this is the entry level in the Swift family and given Acer’s past on builds and choice in materials. It gets a sturdy case with little to no flex in the hood or chassis, and even the bezel around the screen is excellently built. It doesn’t cause any significant bleeding on the panel and you can even press on it without warping at all. Aluminum is used for the entire outer case, attached to a plastic inner chassis. 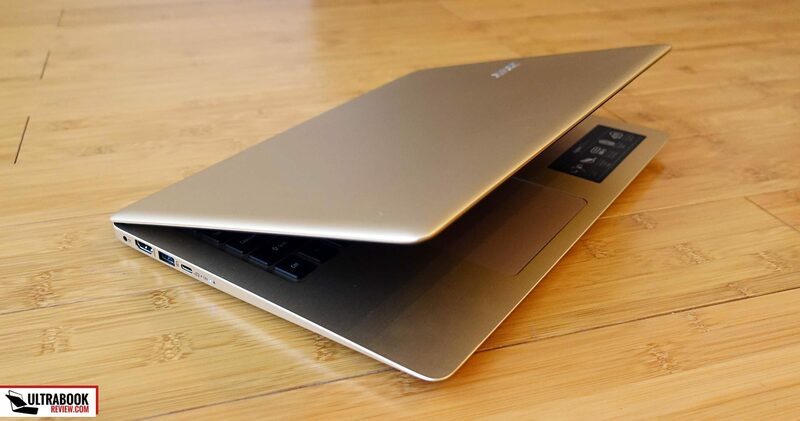 We got to test the Gold option, but the laptop is also available in a more subtle Silver. 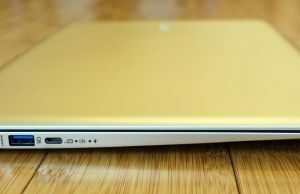 I’ve added a picture of the Swift next to my XPS 13 to see how the Gold and Silver shades compare. 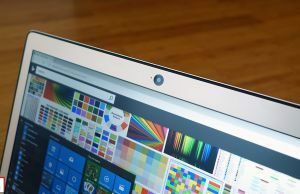 There are also some black elements: the hinge, the large frame around the webcam and the rubberized strip around the display, which I personally find rather ugly, but that’s entirely subjective. Overall, I feel this laptop looks a lot like a Macbook Air, with a similarly wedged shape and black hinge, but it costs a lot less and doesn’t trail it by much in terms of build quality. The Swift is at the same time fairly light and compact, albeit not as compact as some other 14-inchers out there, like the Asus Zenbook UX410 or UX430 lines. It weighs around 3.35 lbs and is .7″ thick, which combined with the matte finishing that doesn’t show smudges or scratches easily, make it a versatile road warrior. This is also an ergonomic device. It gets blunt edges and round corners, perfect for grabbing and using it, but I did notice some sharp edges on the bottom, where the underbelly attaches to the inner-frame. The interior is also smooth and roomy, with a spacious palm-rest and a fingerprint-reader, useful for quickly logging into Windows. 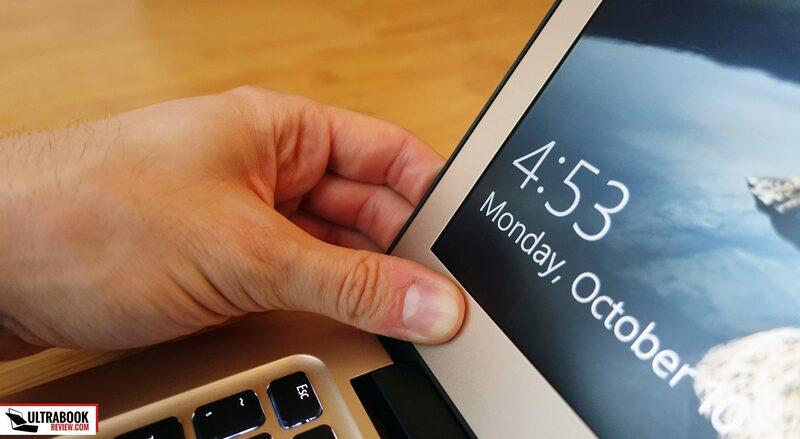 The hinge seems to be well made and keeps the display well in place as set up, but at the same time allows to lift up the screen with a single hand and goes flat to 180 degrees on back. 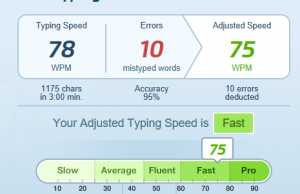 This particular aspect is a major selling point for those of us who use their computers on the lap or leaned on thighs while lying on the sofa or in bed. One last aspect to mention here is the IO lined on the edges, which includes two USB 3.0 slots, an USB 3.1 port, HDMI video output and a card-reader. Some discrete status LEDs are also present on the left edge. The USB 3.1 port is not Thunderbolt 3 compatible and I don’t think Acer includes any adapters in the pack, but even so the IO is solid here and includes pretty much everything a regular user will need. The Swift 3 gets a 14-inch screen with a matte finishing and an IPS panel. It’s not the best IPS panel out there, as it is really dim and you’ll struggle with it in well-lit environments, plus the color accuracy is rather mediocre, but it’s still miles better than an TN panel and as long as you’ll keep it indoors you should find it good enough. 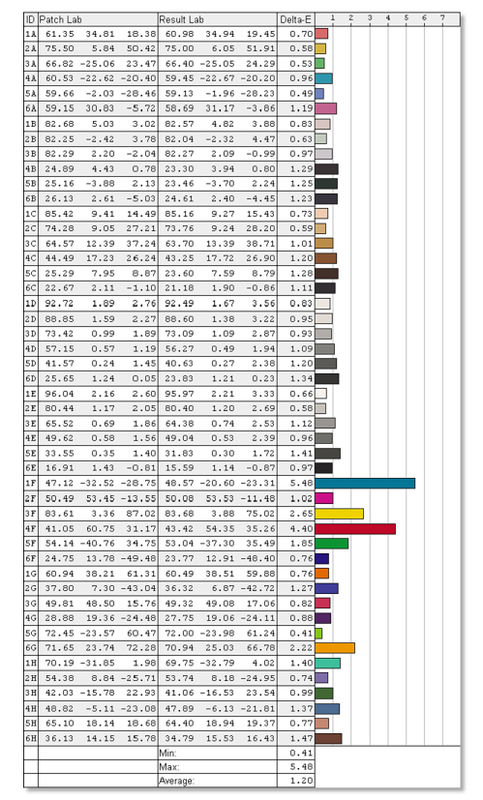 I’ve added some stats and test results below for those of you interested in the technicalities, and you can also use our calibrated ICC profile if you want to get the most out of this screen in terms of color reproduction. 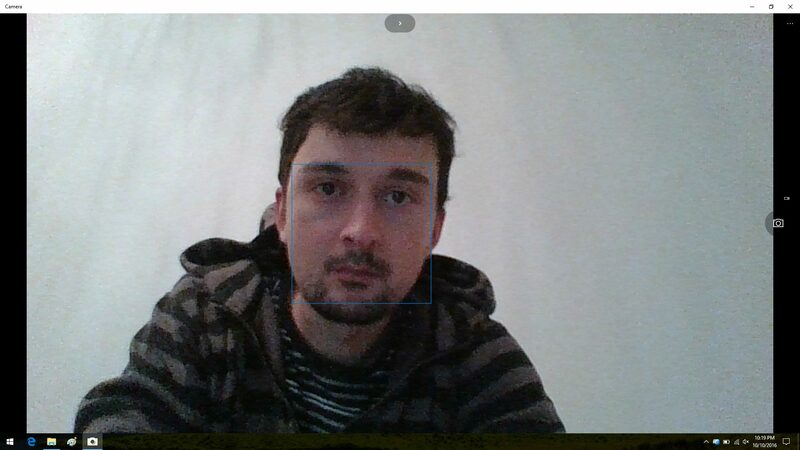 Average DeltaE: 1.2 uncalibrated, 0.98 calibrated. I did mention these before, but I’ll add them here once again. 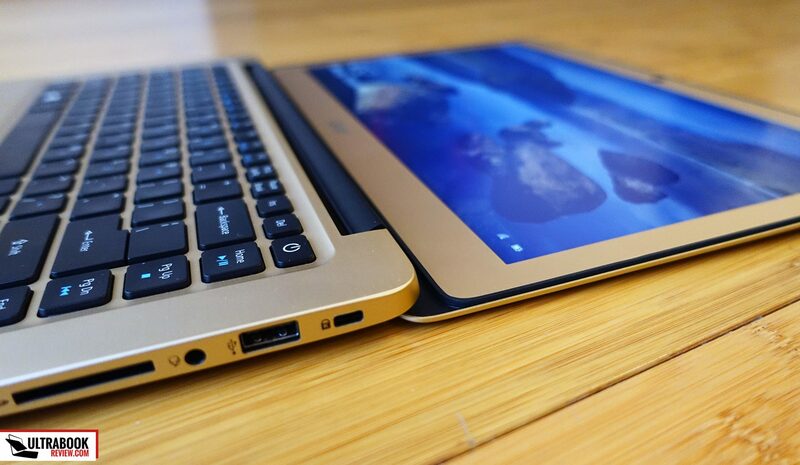 The hinge on this laptop is a top selling point, as it allows to easily lift the screen with a single hand and also allows it to lean back flat to 180 degrees, features that make a huge difference in daily use and are usually reserved for higher-end business-oriented laptops. 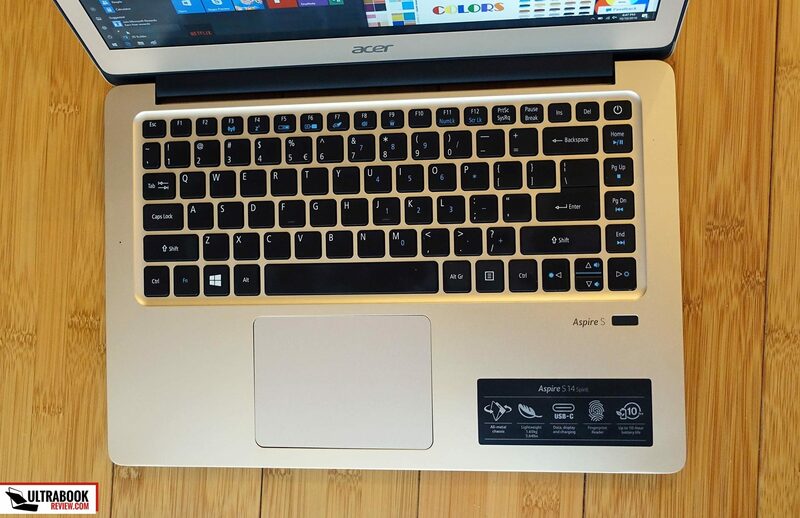 The Swift 3 gets the keyboard we’ve seen on many Acer ultraportables before, with a rather peculiar layout that includes an extra row on keys towards the right. It’s nice to have dedicated keys for Home, End, PgUp and PgDw, but at the same time this layout will take some time to get used to and might cause some missed strokes when searching for Enter or Backspace. That aside, this is a pretty good keyboard. The keys have a soft finishing and a slightly concave shape, they feel great to touch and they also have a pretty good feedback. I’d prefer they were a little firmer and require a little more force to actuate, as they feel a little shallow. At the same time they could have been quieter, but given this laptop’s price range, I’d say it gets a really good keyboard for its class. 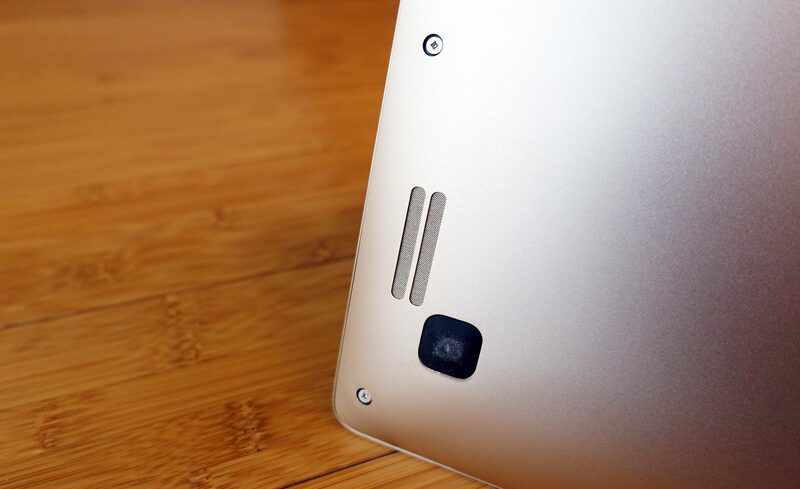 The keys are backlit and you can turn the illumination On or Off by hitting Fn+F9. 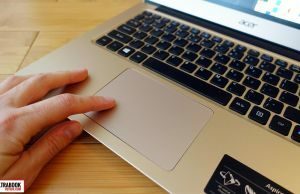 You don’t get to choose between multiple brightness levels and the illumination is only activated by hitting a key and not by swiping your fingers over the touchpad like on the more premium options. A large plastic trackpad sits beneath the keyboard and its surface is a little rougher and not as glidy as the glass trackpads out there. Still, it felt alright in my tests and actually performed really well both with standard swipes and taps, but also with gestures. I didn’t notice any jumpiness or stuttering, which plagues many other Windows notebooks these days. Well done. 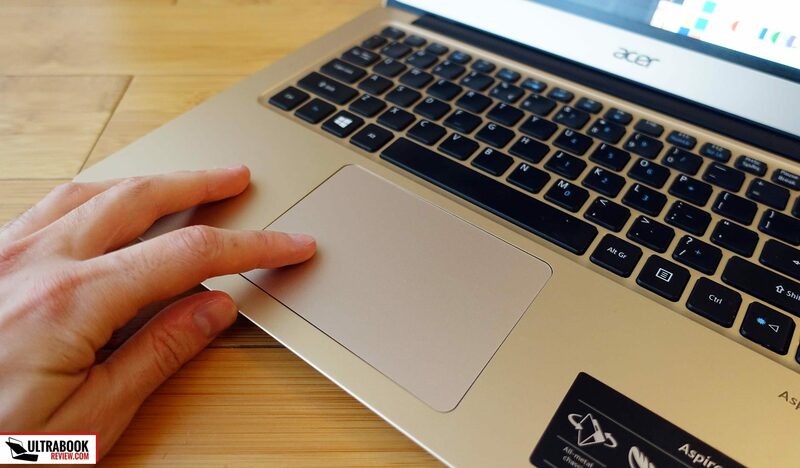 On the other hand, if I were to find a nit with the trackpad that would be the physical clicks that have a very short travel, but at least they are quiet. 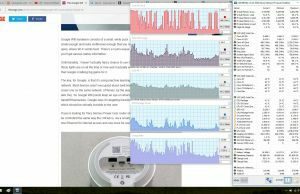 We got to test the beefiest Swift 3 configuration available to date, with a Core i7-6500U processor, 8 GB of RAM and a 512 GB M.2 SSD, but retail configurations also include Core i3 or i5 processors, 4-8 GB of RAM and 128, 256 of 512 GB of SSD storage. The CPU and the RAM are soldered on the motherboard, but the storage is upgradeable. 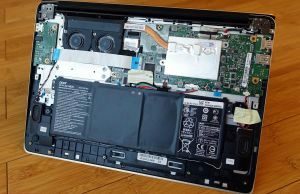 Accessing the internals is a fairly easy job, as you’ll have to get past the back-panel which is a matter of unscrewing the handful of Philips screws around its edges. Once inside you’ll find the M.2 SSD placed beneath the two fans, with a thermal protection on top. 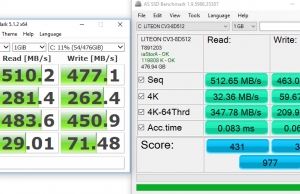 Acer went with a standard 80 mm M.2 SSD here and from what I can tell, only SATA solutions are supported, but even these are fast enough for daily use. While inside you’ll notice a lot of duct-tape used to hold the various cables in place, but that’s probably because our sample is a pre-production model and not the final retail unit. 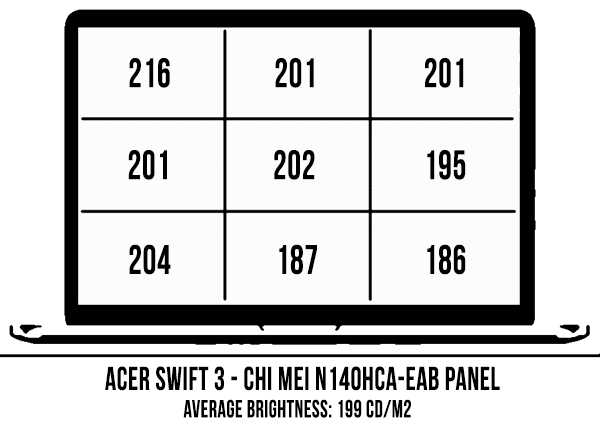 On the other hand, you’ll also notice there’s a fair amount of unused space, especially around the battery, which means Acer could have went with a larger one and instead chose to pick the standard 48 Wh battery to save costs. Performance wise, the Swift 3 is just as snappy as you can expect from a Core U configuration with SSD storage and enough RAM. It handles everyday tasks smoothly and doesn’t struggle with multitasking either. 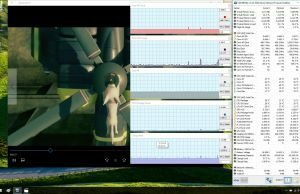 It can also run simpler games that the Intel HD 520 GPU can handle, as well as other demanding software like Photoshop, Premiere or maybe Mathlab, as the hardware doesn’t overheat or throttle in continuous loads. In other words, this is a good computer for work, multimedia content and fun, and its lightweight and reduced price also make it a great option for students. 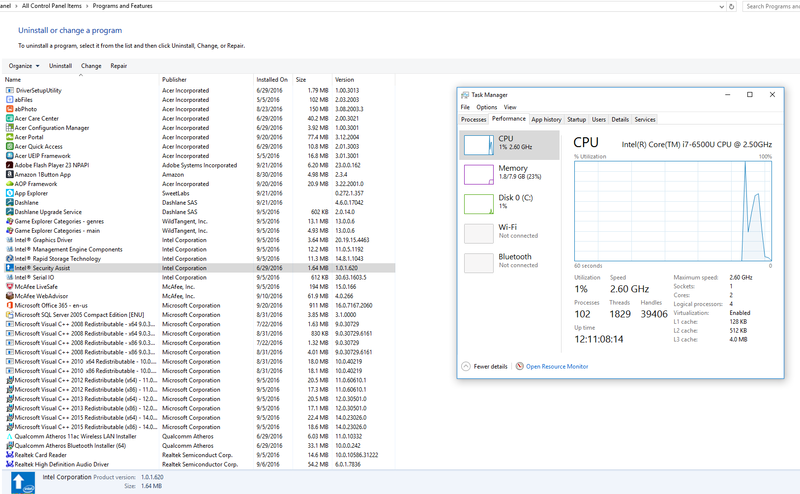 I do have to mention there’s a fair amount of bloatware that comes preinstalled on the Sift 3 and you should get rid of it, or better yet, do a clean Windows install once you get this out of the box.These programs aren’t that taxing on the Core i7 configuration we tested here, but they take a significant toll on the Core i3 models with only 4 GB of RAM, in case you decide to go for one of those. 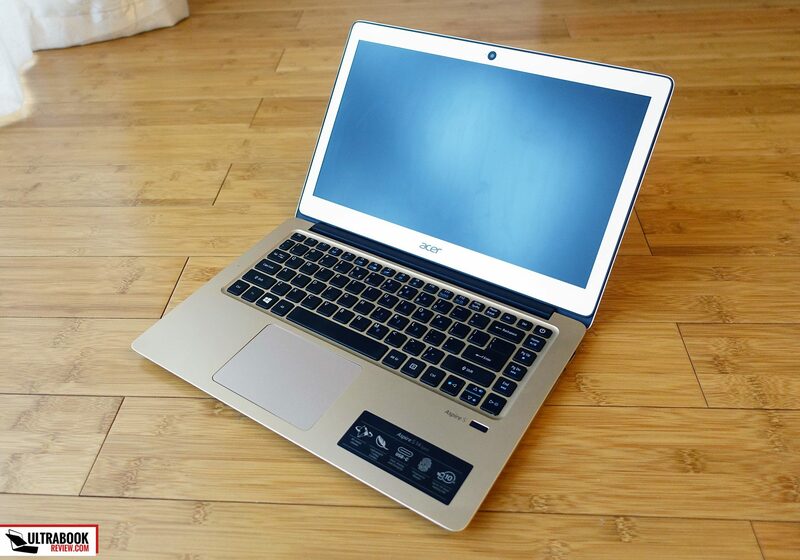 As you might have noticed in the previous section, Acer put two small fans on this laptop. 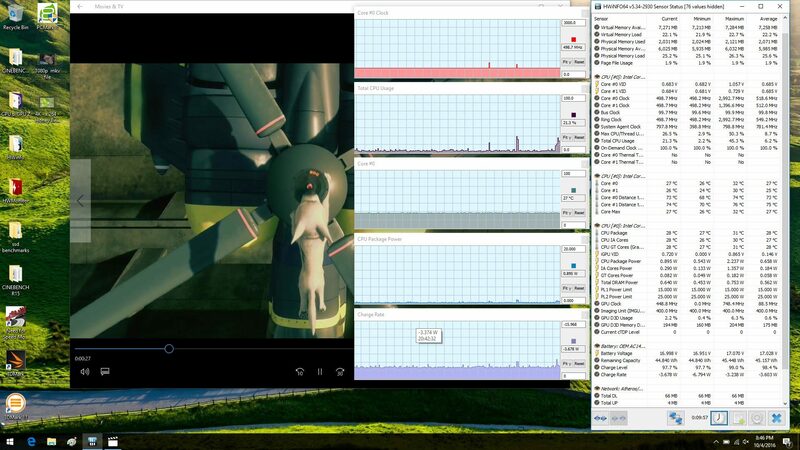 I can’t tell for sure if they are controlled individually by the CPU and GPU, but I believe they are not. Both are quite aggressive, spinning more often than they should. 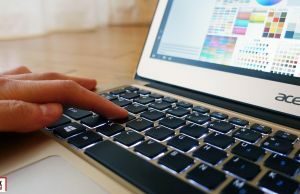 Launching a browser or a movie is enough to kick them on, but they will switch off when the computer sits idle or when you’ll use it for some basic tasks like reading and editing documents. The fans do get a fairly high pitch hum, so you’ll hear them even at low speeds, but what’s more annoying is the constant electrical whining I noticed on our sample. Hopefully retail units won’t be plagued by this issue, but it’s something to be aware of and test on your unit once you get it. Just lower your ear on top of the keyboard and if it’s there, you’ll immediately know what I’m talking about. On the thermal side, the Swift 3 runs cool with daily use and gets moderately warm in demanding loads. 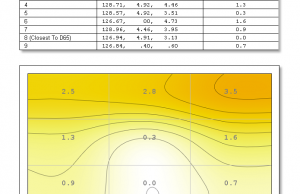 The outershell temperatures it reaches are pretty much standard for Skylake ultraportables with similar profiles. 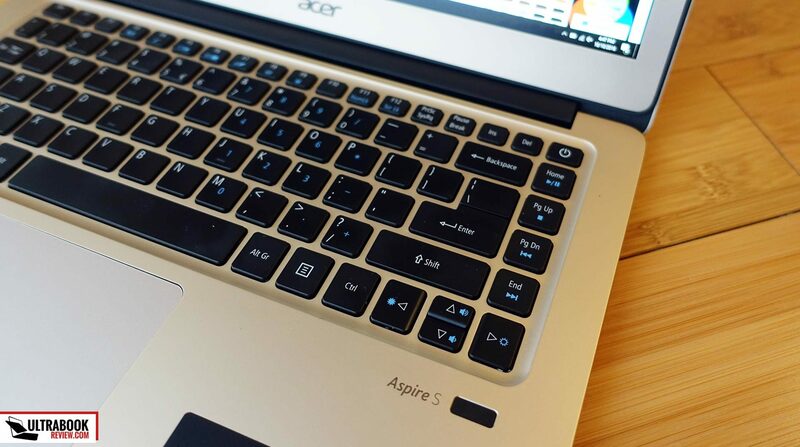 Connectivity wise there’s Wireless AC and Bluetooth 4.1 on the Acer Swift 3. A Qualcomm QCA6174 module is used with 2×2 MU-Mimo antennae and the results are good both near the router and at 30 feet with 2 walls in between, where the speeds drop, but to still usable levels. For audio Acer went with two speakers placed on the underbelly. They are moderately loud (88 dB at head level) and they sound alright, albeit rather tiny and with little base. I did notice that their placement on the bottom causes the sound to bounce of the desk and distort quite badly, and in fact that laptop sounds a lot better when it’s not placed on a flat surface or rather used on the lap or in any other case that doesn’t block the speakers. Last but not least there’s the camera, placed on top of the screen, with that ugly black framing around the lens. 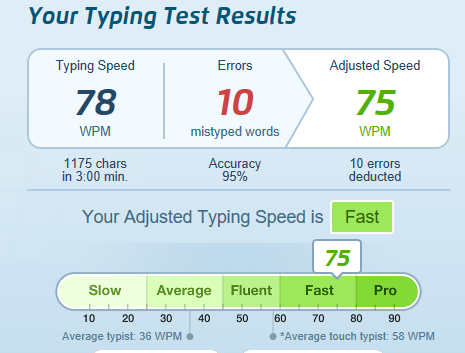 It’s pretty mediocre, but should do for occasional Skype calls, and the microphones works decently as well, although I did find Acer’s take on them a little peculiar, as one sits at the top of the screen and another to the left of the keyboard, in a effort to isolate typing noise from voices. Acer puts a 48 Wh battery on the Swift 3, but they could have gone with a larger one, as there’s plenty of spare room inside to accommodate it. Still, let’s not forget this is a budget laptop and a 48 Wh battery in its class is not bad, especially since the laptop runs really efficient. 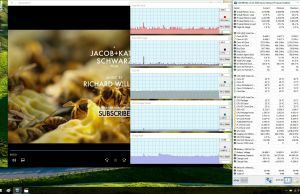 We’ve added some results below (screen’s brightness set at 50%, which is around 120 nits), and don’t forget we got to test the Core i7 configuration, the Core i5 and especially the Core i3 models will run a little more efficient with video playing or light browsing. 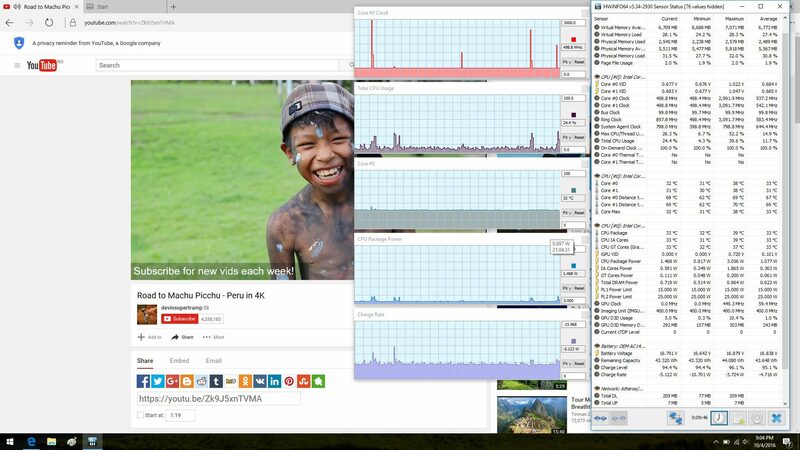 11.5 W (~3 h 10 min of use) – heavy browsing in Edge, Balanced Mode, screen at 50%, Wi-Fi ON. 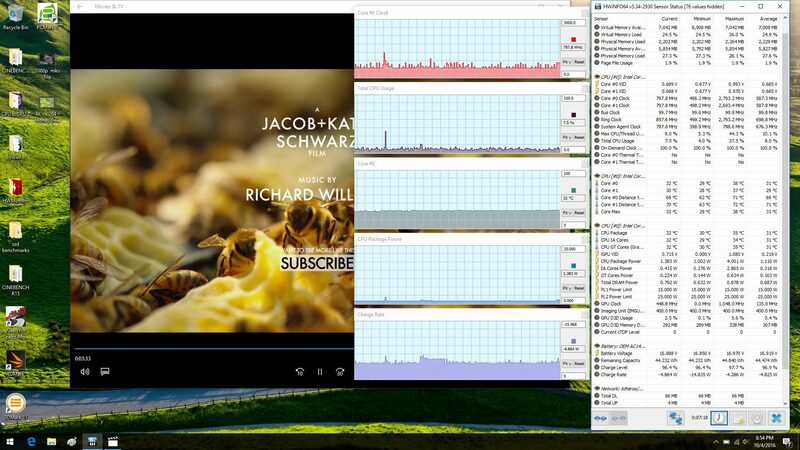 25 W (~1 h 50 min of use) – gaming at FHD low details, screen at 50%, Wi-Fi ON. A 45 W charger is included and a full-recharge takes around 2 hours and 30 minutes. 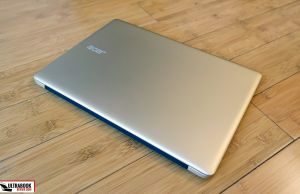 The acer Aspire Swift 3 is available in three different configurations and I’ve also added their prices at the time of this post. 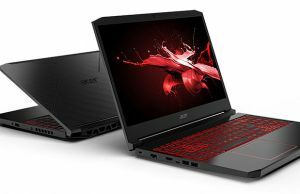 top model with a Core i7-6500U / i7-7500U processor, 8 GB of RAM and 256 GB SSD for $799 in the US and around 850 EUR in Europe. Configurations with 512 GB of SSD storage are also available, and the prices are subject to change in the months to come, so you should follow this link for up-to-date configurations and prices at the time you’re reading the article. 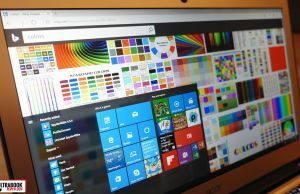 Looks like Acer are going the same route as Asus and seriously discount their products in the US, while keeping prices 10-20% higher in Europe. 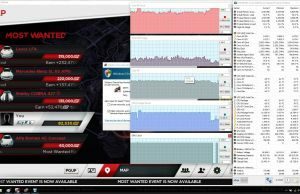 The base model is a good buy at $499, but not that much at 600 EUR, as those 4 GB of RAM are rather limiting, especially if you aim to keep this computer for a longer time, so the mid level configuration is the one I’d recommend buying. 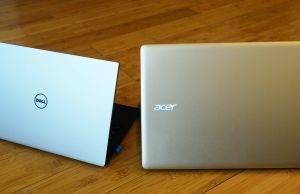 Acer did a really good job with their Swift 3 and I expect this to be popular in the months to come, especially in the US where it’s priced aggressively. 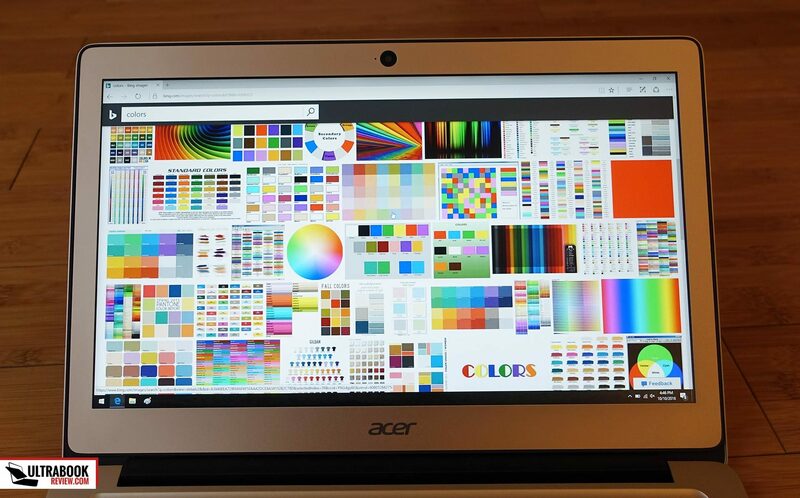 Update: As of 2018 Acer offers a few updated version of the 14-inch Swift 3 line, all of them more compact, better built and with higher-quality screens. You can find all about the SF314-55 and 56 updates from our detailed review. 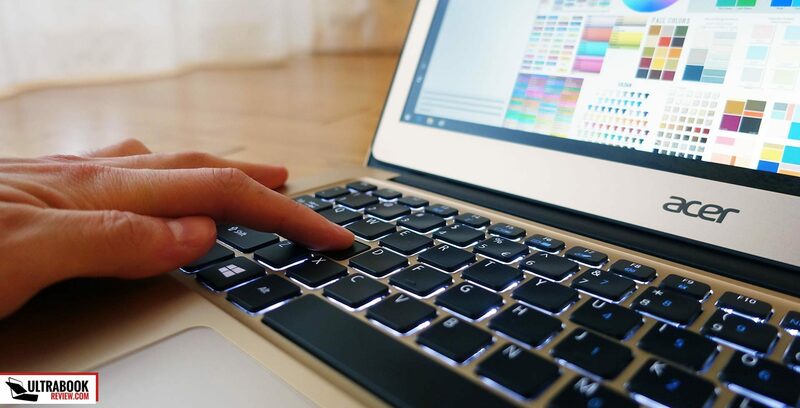 Of course, you have to fall within its niche to consider it, and that means being someone who’s looking for a well-priced mid-sized laptop with a matte non-touch screen, the power to handle everyday activities and a big enough battery to run for 5-7 hours unplugged. On top of those, the Swift 3 is also a well built device with beautiful aesthetics and a good keyboard/trackpad, all in a $650 package at launch and probably cheaper down the road. On the other hand, you’ll have to live with the dim screen and rather mediocre speakers, but this aside there’s not that much to complain about here. 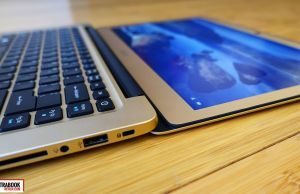 At the same time the Swift 3 is both more affordable and an overall better device than its direct competitors, like the Lenovo IdeaPad 320s and 510s, the HP ProBook 440 or the more premium Zenbook UX410 and UX430 series. 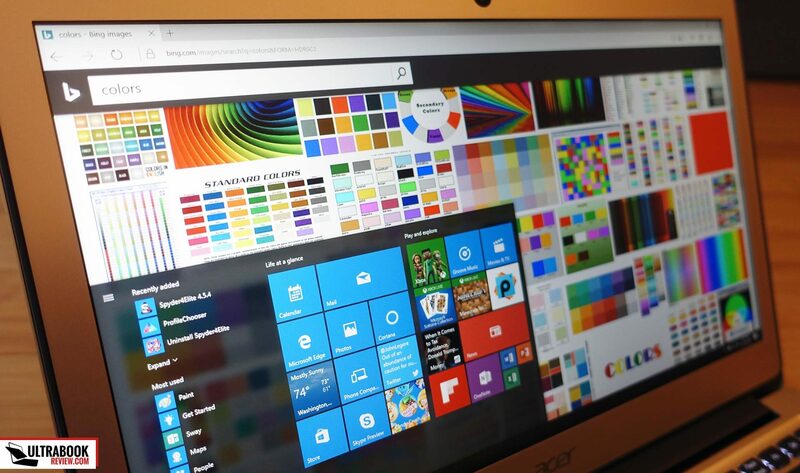 It’s also an excellent alternative for the mid-level 13-inchers like the Acer Aspire S13, Lenovo ThinkPad 13, HP Envy 13 or the Asus Zenbook UX305UA, all built on similar hardware. Hidden quality control issue might have an impact on how well this product will be received. I haven’t noticed any with our test sample, but that doesn’t mean they might not by there. On the other hand, I feel the Swift 3 doesn’t give European buyers the same value for their buck euro, but even if it’s more expensive over here it still remains a really good ultraportable and an option to consider. 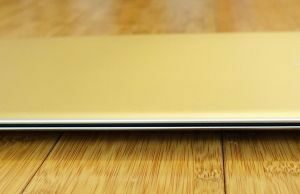 In conclusion, the Acer Swift 3 scores a 4.25 out of 5 in this review, its price bumping up the score by .25 of a point. 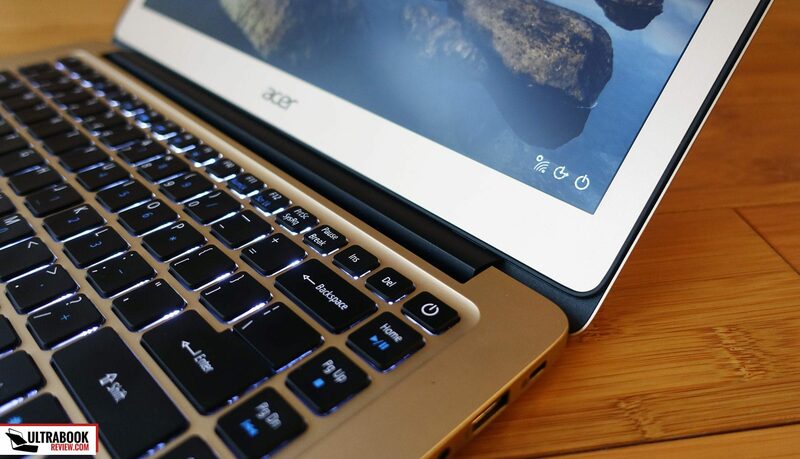 With that in mind we’ll wrap this up here, but please let us know what you think about the Acer Swift 3 in the comments section below and get in touch if you have any questions or anything to add to the article. Thank you so much for this review! It has been very useful. Also for the ICC profile. 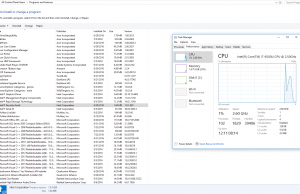 Did you have any problem with "blurry DPI in Windows 10"? My model is experiencing it. Some programs don't scale well, yes, but that's standard with all laptops. 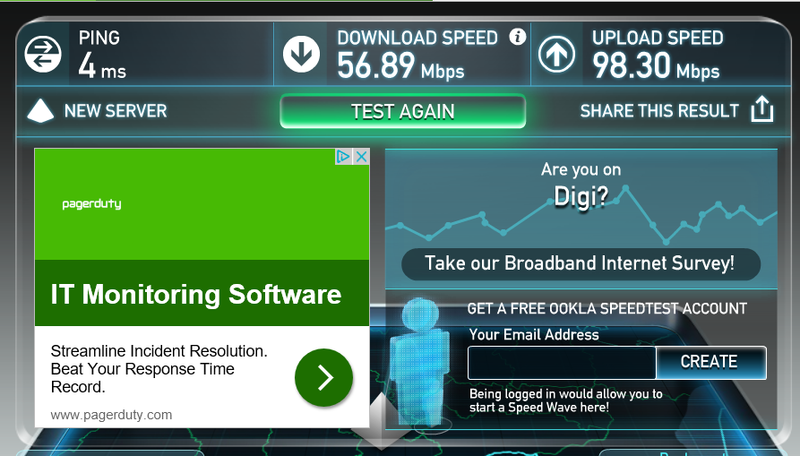 I'm not experiencing any blurriness with the Windows interface, browser (edge, firefox), etc, and I'm using 125% scaling. 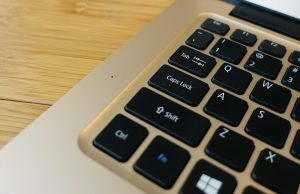 Can you tell me what trackpad hardware is being used? 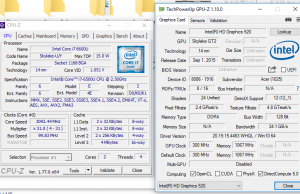 synaptics or elantech? If its elantech, then its better to avoid. 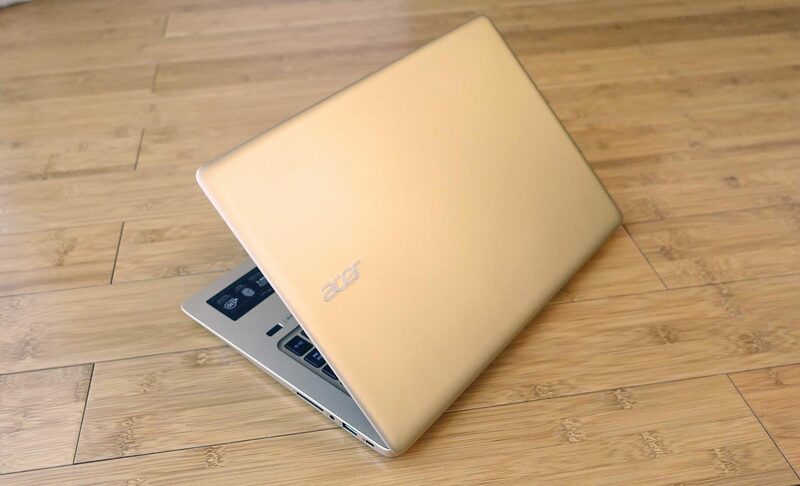 Also, comparing this laptop with acer v13 touch, what are the downsides and upsides of swift 3? I don't remember exactly, but I think it's Synaptics. Regarding the battery life, it seems s13 has a 4030 mAh li-po battery and the swift 3 a 3220 mAh li-ion one. Is the price difference worth to pay for the asus or should I wait for the swift 3 to be stocked on amazon? I kinda like it more than the s13 because of the build and looks and a 14 inch screen vs 13.3 but is the battery life affected by the smaller battery? HI, I've reviewed all of them here on the site, you can read what I think about them. Unless you plan to use the computer outside or in strong light, I'd wait for the Swift 3.
thanks! I think i'll just do that, although the asus 330 seems like a nice option I think i'll go for the acer swift 3 as it has a better price and is a 14"
So which laptop did you finally buy? I have the same dilemma on Swift3 vs UX330.. Thanks for the review! Whats the diff between swift3 and swift5? 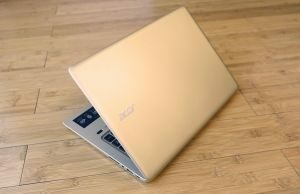 No word yet on the 14" zenbook? 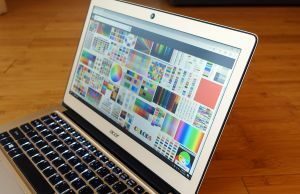 Im looking for a 14" premium laptop with good battery life and screen. For now istill cant find a 14" one. 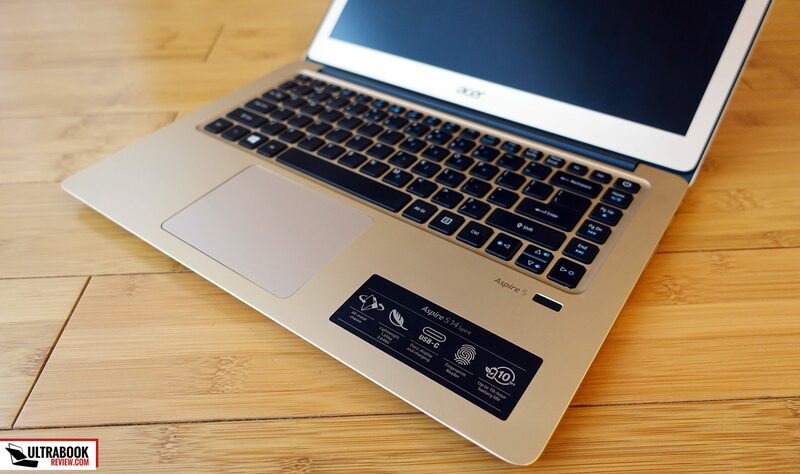 The Swift 5 is a thinner, lighter and hence more expensive 14-incher than the Swift 3. 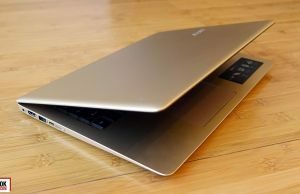 I don't have any more details on the Zenbook UX410 for now. 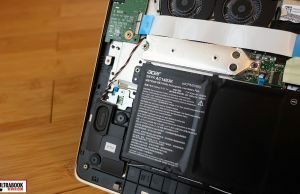 Can you use the USB C port to charge the laptop? I have access to a Mac USB C charger which is very small compared to most others and better for travel. I have the Swift 3 here in front of me, and it says on the legend "USB-C data, display and charging". Huh… That's wird, perhaps it means you can charge other devices via USB-C, not that the laptop can be charged via USB-C? Yes, I confirmed with Acer you can charge with it, but you can't charge the laptop itself. Bummer! 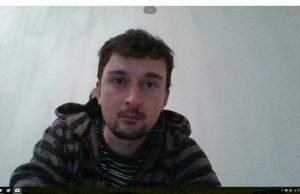 Hi Andrei, thank you for your review ! I think i'm gonna buy this laptop, should i get the i5 or the i7 model ? Do you have plans on reviewing the Spin 5? I have a $650 budget. Now should I buy Swift 3 or should I go with Spin 5 or Aspire v13. I am really confused. I am an electrical engineering student and not a gamer. Please suggest me what should I buy. Any one know how to get drivers on Win 7 64bit ? Hey! Is the HDMI 2.0 or? I want to run it with a 4k monitor. Good question. The thing is, I can't tell for sure because I haven't checked, but I'm pretty sure it's HDMI 1.4, due to the Skylake hardware inside. What can you say about Swift 3 and its hood? Is it a good choise for frequent travels? Well, there's some flex, but imo it's not as bad as that quote is saying. The build quality is very good for this price range, again, imo. How do you think, can we really expect this model will be available on the market? 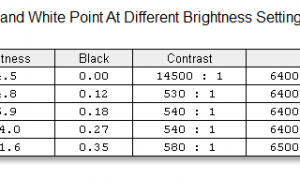 is there much of a difference between a panel with 60% srgb and >100% srgb? i'm trying to decide between this and the aspire s13. i went in to the store and couldn't really detect any difference in maximum brightness and colors with my naked eye. they are about the same price, with the aspire having i5, 8GB/128GB and the swift 3 having i5, 8GB/256GB. i will be using it for coding and i felt the extra .7" of diagonal screen real estate can come in very handy (my 13.3" now feels a little cramped) but then again i'm spoilt by my current toshiba chromebook 2 which has an excellent screen. 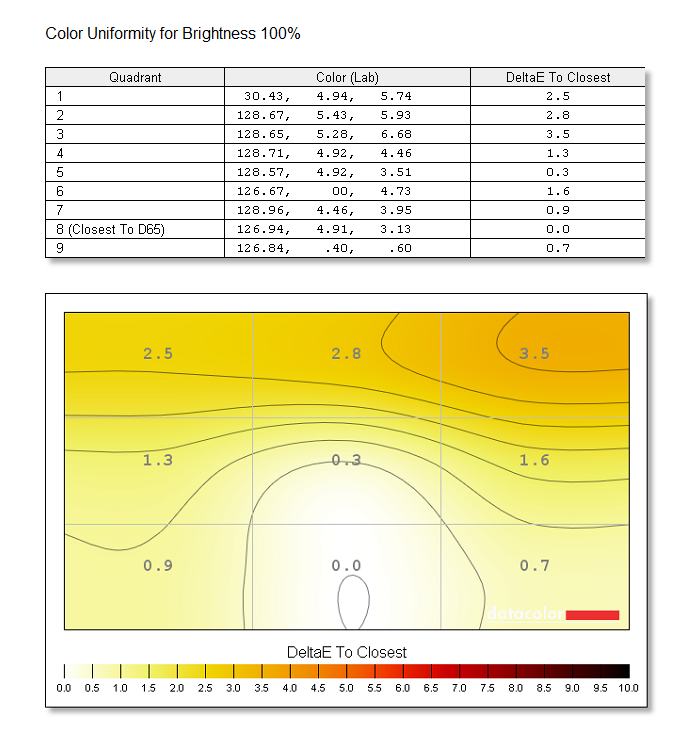 do you think i'd notice the drop in color gamut in the swift 3 in day to day use once i've used it for a while, or is it not really something that should factor in to my buying decision? 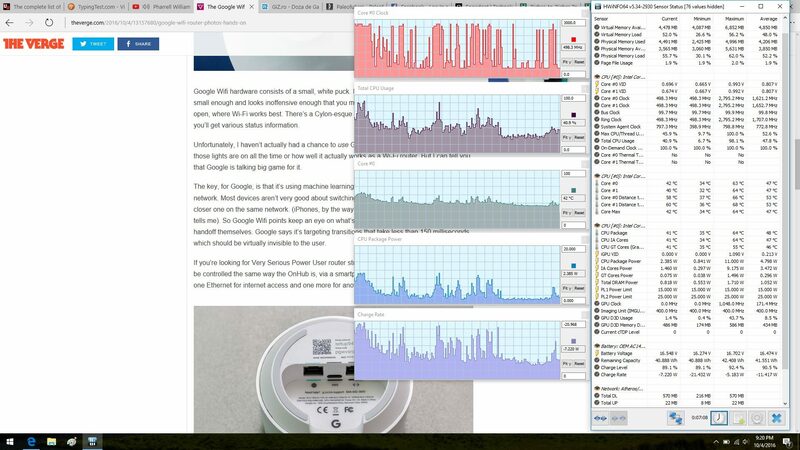 As long as both panels are IPS, I'd say you're not going to actually notice significant difference with daily use. Also, you mentioned you've already seen the screen in store and found it good enough, which means it should be a good option for you. ok, thanks for your feedback. i was just worried that with prolonged use i might actually start to notice things i didn't in the few minutes i had with it in store. just my ocd kicking in haha! anyway i think i'll have to review it a bit more. will post an update here once i make a decision. thanks! 2 brand new swift 3 got black screen after restart within 2 days. many complaints about this issue.Check online reviews and it may cause by Acer bios. I had the same problem. Bought a new Swift 3 which died after 11 days then the shop offered me another one, which died within 24 hours. Apart from that it was a lovely computer as long as it lasted. Thanks for all your helpful reviews. 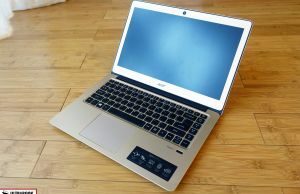 I am a general user considering an acer swift 3 or spin 5. 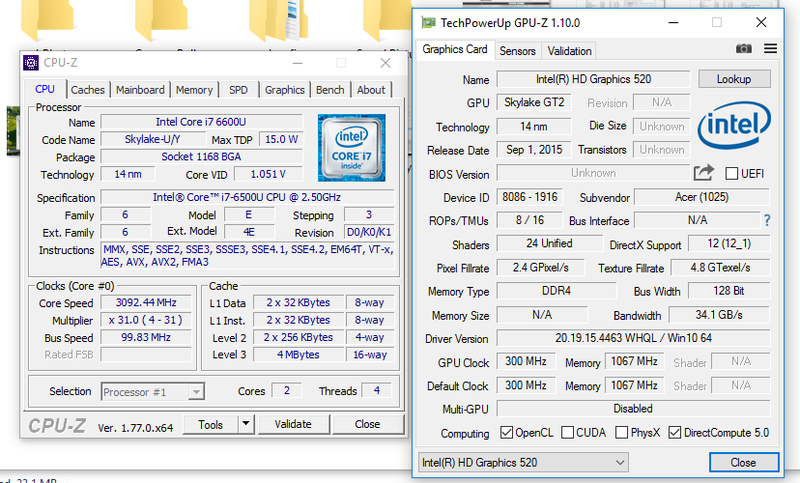 Both have similar specs, core i5, 256 SSD, 8GB RAM. Both have the same price of $499. Which on do you think has a quieter fan? Do you think the swift 3 is a better buy? Yes, I'd pick the Swift among the two, based on my experience with them. Hi Andrei, will you review the Swift5 with Kaby Lake? Seems like a better ultra book. Better processor, lighter than Swift3, about $799. I can't tell for sure, but I'll ask for it in the new year. Hi! Good review! Is the screen terrible dim? I'm gonna get this one, but it really confuses me, because I'm always using my notebook at 100% brightness and idk is it sufficient for indoors use in front of a window, thanks! All these are good options, with pros and cons. I'd look at reviews here on this site and on notebookcheck.net for each series, and then decide with which cons you can live with and pick based on this aspect. I was going to say that the Swift 3 looks an awful lot like the Acer Chromebook 14. 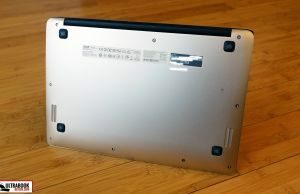 Very similar chassis, trackpad, screen, etc. I wonder if they share the same IPS screen, even. 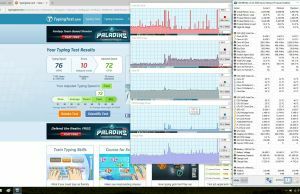 I bought a CB 14 a few weeks ago and I don't mind the relatively dim IPS display; at least the text is sharp and clear. As I just commented on one of the earlier messages, I bought a new Swift 3, which died after 11 days. I shut down the computer and the next day when I wanted to turn it on the screen stayed black with the keyboard flashing on and off, so naturally I went to get it fixed at the shop I bought it from. They were kind and gave me another computer of the same model. This one lasted less than 24 hours and had the same problem as the first one. I have read that other people have experienced the same problem with their Swift 3, so it shouldn't be a result of my stupidity. Just thought people who was thinking about buying it should know before making the decision. idk but seems like you have problems with bios version. Thanks for the review! We're looking at this model to replace a 5 year old laptop, so it's quite a step up. Do you know if it can be charged through its USB 3.1 port? We'd like a laptop that can be plugged into a modern port replicator with a single cable and charge the laptop too. I'm not 100% sure on this, but from what I know it cannot charge via USB-C. On top fo that, even the few laptops available with USB-C chargers can't charge from a Docking station via USB-C, but only with the included charger, with few exceptions. I'll look into this matter in the new year and have a post about it. Looks like they have an updated model on Amazon.com and Acer.com with the Core i5-7200U processor. I wonder if it is fanless. Any ideas? 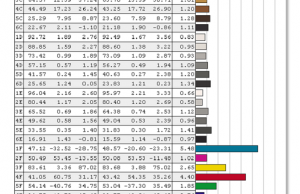 No, Core U processors (ending in an U) are not fanless. $515 at Costco with the i5-7200u, 8gb ram and 256gb ssd. Really great price. Has a fan but isn't loud at all. No electrical whine either. is swift 3 good for programming and coding? Depends on what you mean by that. 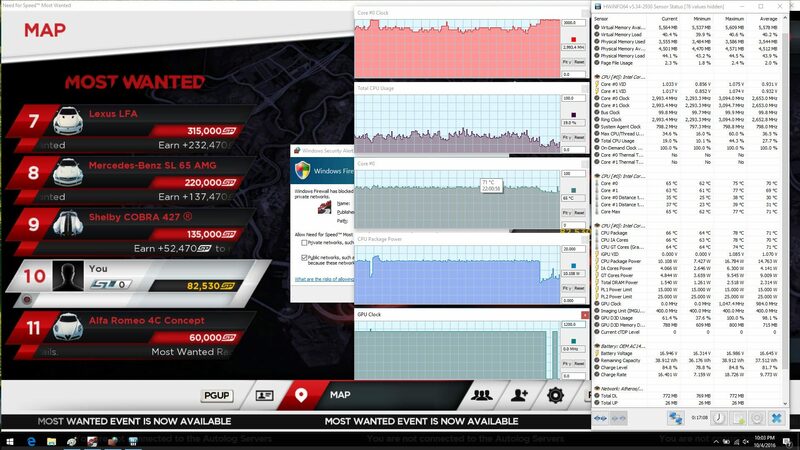 It will do for mid-level tasks, just make sure you get a config with 8 Gb of RAM and preferably a core i7. For complex chores that demands heavy processing power might require a quad-core processor though. 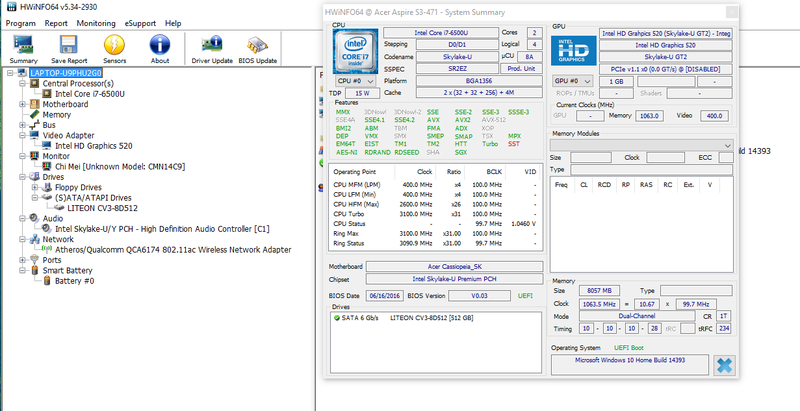 Have you reviewed the newest i5-7200u model yet? 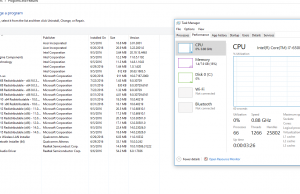 Can the Memory be upgraded to 12 or 16 GB ? 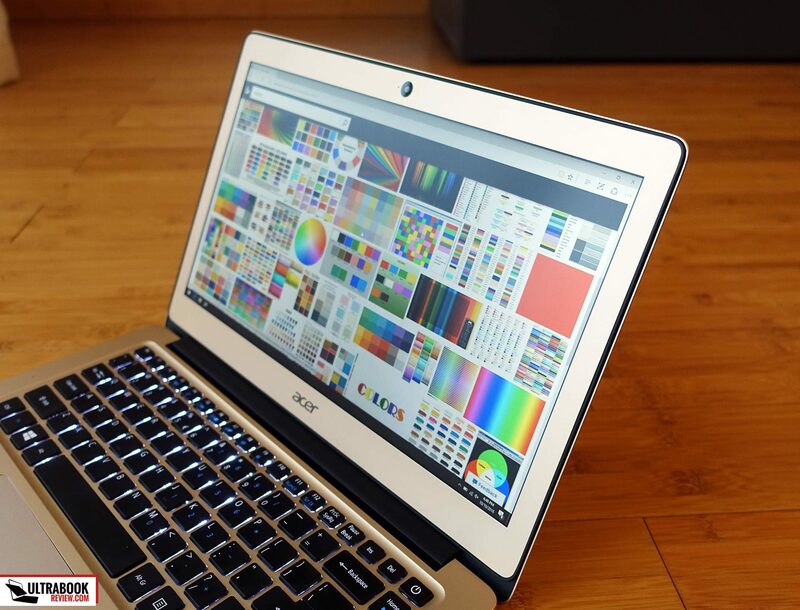 This seems like it shares the same chassis, speakers, and maybe even display panel as the Acer Chromebook 14, eh? May as well, guess they looked at their slightly upmarket Chromebook and decided it may sell with Windows and an SSD. The USB-C port will charge the laptop. The power requirements are: 19.5V 2.25A. Acer does not offer an adapter for this but you should be able to find one with these specifications. Thanks for your reviews! They are very helpful for someone like myself that knows nothing about laptops! 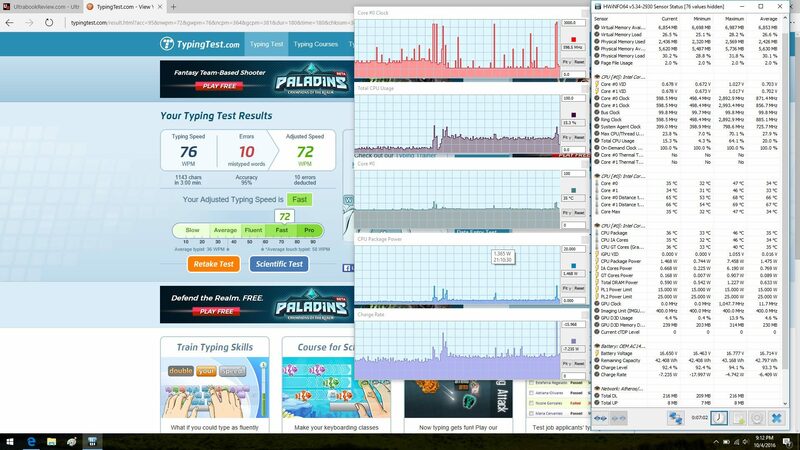 I want to purchase the swift for word processing and internet surfing but can the swift i3's memory handle microsoft pro plus 2016? I just bought the Swift 3. I noticed you mentioned it has a lot of bloatware, and I can see how to install a fresh copy of Windows 10. Most reviewers and commentators suggest doing this, without reservation. However, i'm not a computer "geek" and I'm concerned about necessary programs being lost by installing a pristine version of Windows 10. Although I maybe don't need "Freedom VPN", I'm pretty sure I need programs such as "Intel Graphics Driver" and "Realtek High Definition Audio Driver". My question is, will all of these programs be erased with a fresh install of Windows 10? If so, how do I get needed programs back? How do I know what is needed and what isn't? 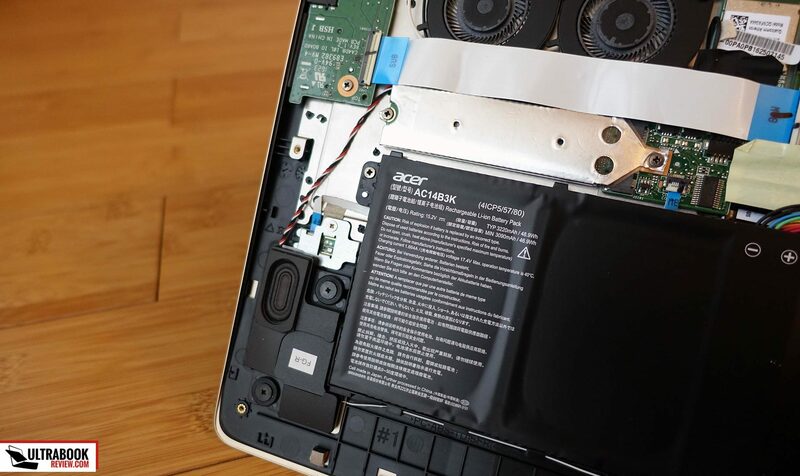 There are pics of the internals in the article, there's no 2.5" bay for a HDD, but you can replace the existing SSD with a similar type, larger one, if needed. Hi! I am buying this laptop (Intel Core i5-7200U, 8 GB RAM, 256 GB SSD) this week. 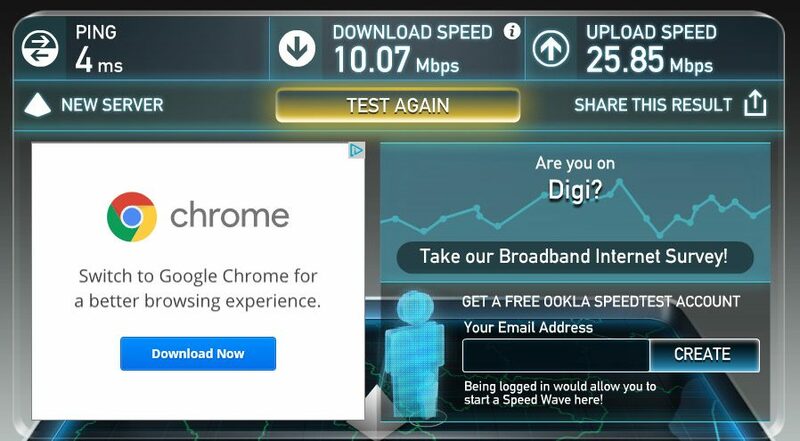 However, I am still in doubt about how dim the screen is. I am planning to work a lot outside this summer, on the laptop. If I work in the shade (and not directly under the sun) would it be bright enough? Imo it wouldn't. 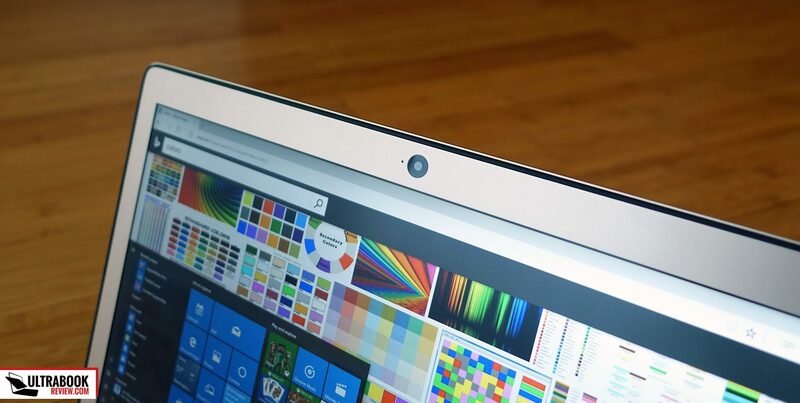 Take it like this, I own an older XPS 13 with a matte screen that's about 250 nits and I struggle to see much on it outside in sunny days, even at shade. The Swift 3's screen is dimmer by a fair amount. Personally, for outside use I'd aim at a matte screen capable of at least 300 nits. Of course, your expectations might be different than mine. If you can get it from a place that allows easy returns, then do it and see if it works for you. You could also search for some videos showing how the screen looks in bright light, there might be some on Youtube or perhaps pictures in the users reviews on Amazon. Update: I've followed your advice and got it to test it. I am definitely not returning this laptop. Perfect in every way (and it's aesthetically beautiful as well). The screen dimness seems fine, but I haven't really had the chance of testing it directly under the sunlight -British weather, alas-. Thank you for your fast reply! 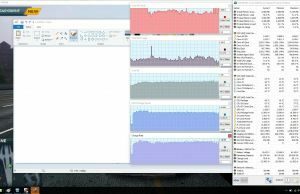 ¿Se le puede añadir un HDD y mas RAM? 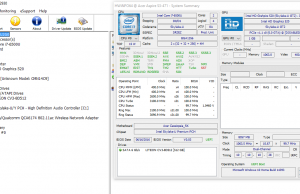 I really want Intel WI-DI, having read about it for years and never having a laptop with an Intel WI-FI card and would be looking to install a Intel® Dual Band Wireless-AC 8265 card. 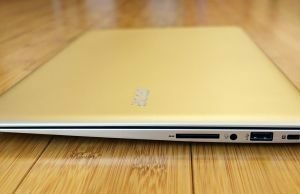 You advise in the Lenovo review that upgrading the WI-FI chip would be easy – will it be easy enough to do on the Swift 3? 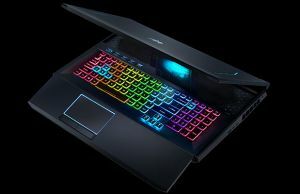 I am leaning towards the Lenovo as you say it is the quieter of the 2 models and appears to have a slightly brighter screen, however you also mention that the Swift was a pre-production model – do you know if they improved the fan activation on the production models? 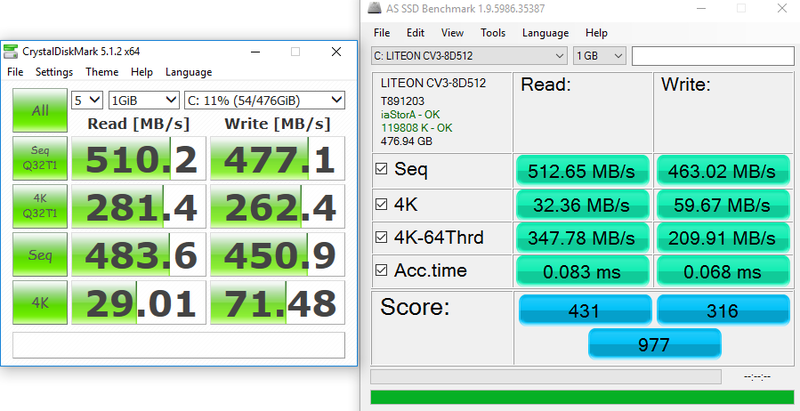 The Lenovo only comes with a 128GB SSD so would probably swap this out in the future. The wi-fi chip is easily replaceable on both as far as I remember. About the retail Swifts, you should read reviews on amazon and other places and see if people complain about the fans, I didn't get my hands on a final versions and can't tell if Acer didn't tweak the fans with software updates and so on. Still, my guess is that the retail units performed just like thine test unit. My big nit with the Lenovo is the lack of a backlit keyboard. It gets a nicer screen though, which is going to matter if you plan to use the laptop in brighter rooms. Otherwise, the Acer will do just fine for indoor use. Overall I think I'd probably go with the Acer, it's cheaper and includes a bigger SSD, so a better value product imo. You'd just have to make sure you can live with the screen and those speakers and fans. Hey – thanks for the reply. The other option I have been considering is the Asus UX410UA which I can get for similar £'s but admittedly with core i3 and 128gb ssd. 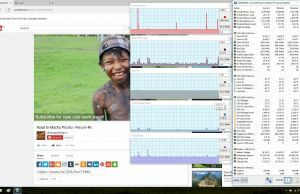 Nicer looking laptop and great screen but as you mentioned the fan is always active. 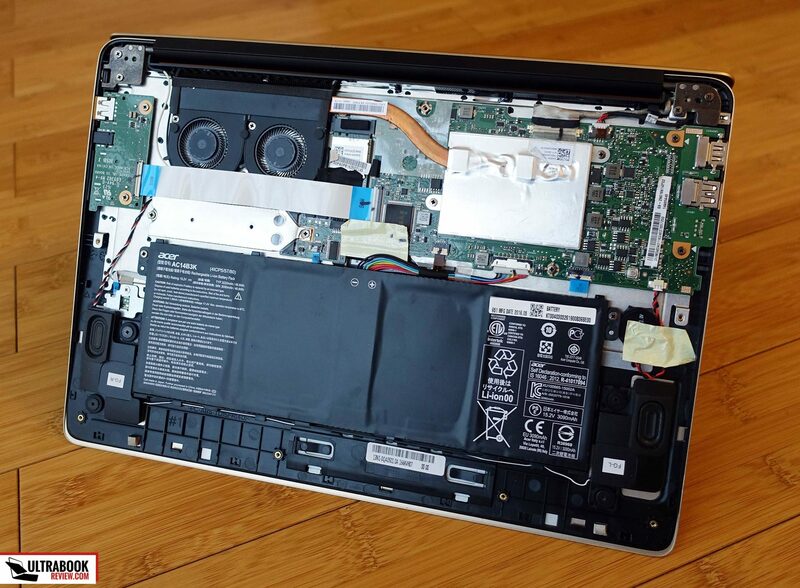 So my question is – would it be possible to order a replacement LCD panel for the Asus and install it in the Acer? That way if I can live with the fans on the Acer then I would have a pretty sweet laptop. 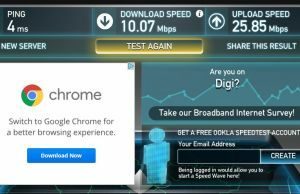 Have you tested WI-DI with a Samsung/LG/Smart TV(Miracast) 2016/17 – reviews are few and far between but I have been using a Toshiba protege z835 for years with a HDMI cable and VLC for most media consumption and the idea of running WI-DI instead really appeals – so would welcome any advice/suggestions. 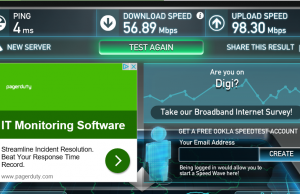 I don't use Wi-Di consistently so I'm not in the position to comment on it. User reviews on forums and online shops should be of good help though, just keep in mind people tend to post negative feedback online more often than good experiences. 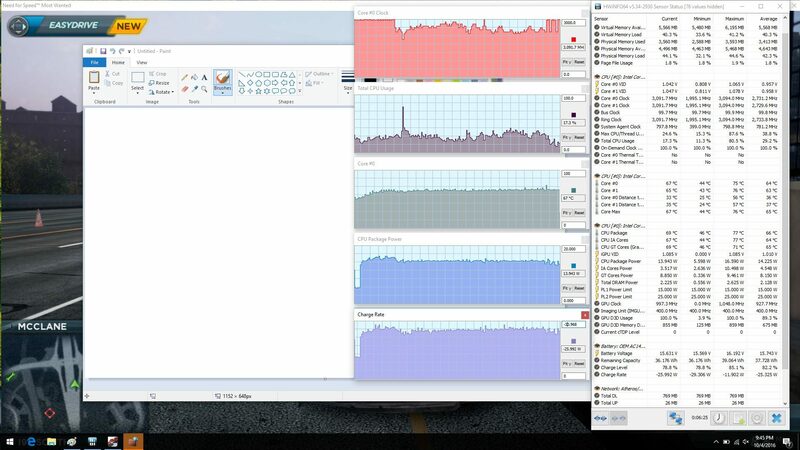 The UX410 UA is a good laptop too and the fan can be tamed with Notebook Fan Control. The i3 should do fine for everyday use but multitasking can get a little sluggish. ALso, you'll probably want to add a storage device int he 2.5" bay to supplement for that small SSD. As far as replacing the panel goes, that should be possible, but it's not that easy and will void warranty. I'd recommend getting someone skilled in this kind of things to do the swap, but you can find guides online that can help if you want to do it yourself. Andrei, do you know if the speakers on this are any different than the ones on the Acer Chromebook 14? The chassis looks very similar, I wonder if they're sharing that part too. I'm thinking of going from the Chromebook to this, a boost in volume or quality from the speakers would be a bonus. 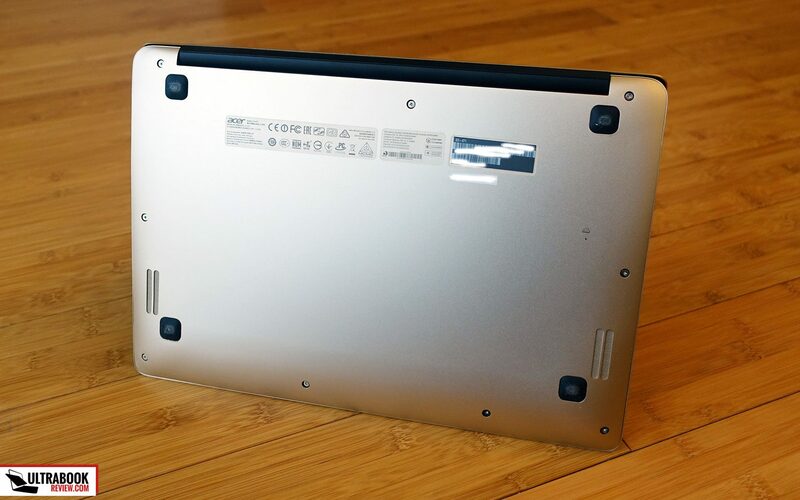 I don't, I didn't review the Chromebook 14, but I'm looking at internal pics for both these laptops and the speakers on the Swift are larger, so they should be better as well.